Are you in trouble with those junk mails? Do you want to recycle magazines and envelopes but have to put them in shredder machine? 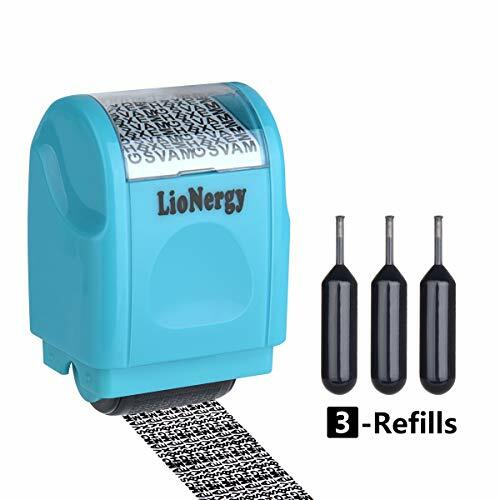 Now say good bye to shredder machine and use LioNergy Stamp for re collection of paper. 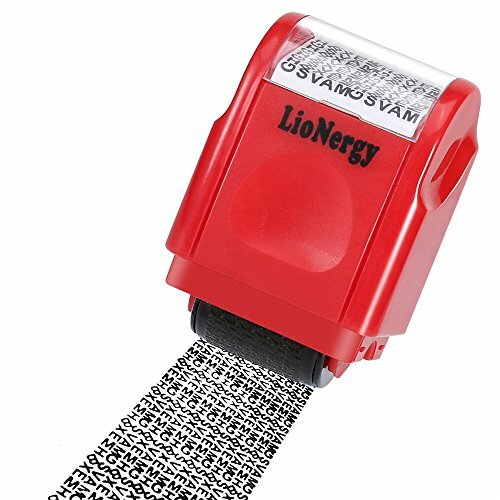 LioNergy Wide Roller Stamp is ideal for private and personal information protection. 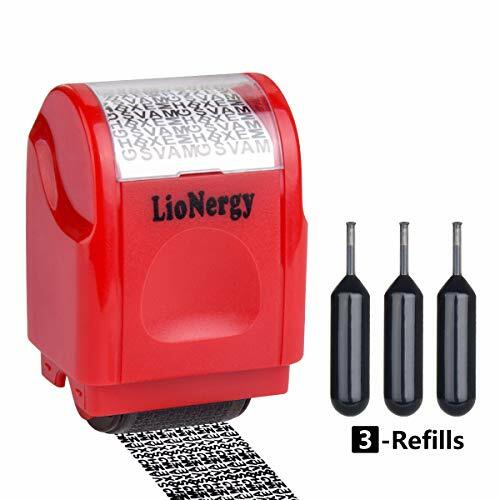 Just one single swipe with LioNergy 0.67*2.16 inch Wide Stamp you can easily blot out your private information in a neat way,specially good for large and long text on package boxes/shipments. Now put junk mail in the trash or recycle but feel good knowing your name and address is not showing. High quality roller stamp that will protect your personal information. LioNergy stamp uses a special pattern and a special ink to hide your social security number, account numbers, address on your bills, junk mail, credit card numbers and more! Don't run out of ink when you need it the most. Please purchase flash ink at LioNergy store. stamp comes with ink already. If the text that you want to cover is to close to each other, we suggest you to roll cover at least twice. It can be used for long time, but when ink runs out you can fill ink from the hole on one end of the stamp. EFFECTIVE PRIVACY PROTECTION: Security protection roller stamps with special letters design, printing hidden under the confidential information, make your personal information illegible, covering sensitive documents like bills, bank statements, medical records, prescription bottles, etc. WIDE COVERAGE DESIGN: The 0.67 inches wide roller is perfect for covering large swaths of private information in a quick, no need for multiple passes to block your info, one single stroke is enough. NLIMITED RE-INKING: Ink can be refilled in the security protection roller stamp side when ink runs out, about 2 drops each time. BEST TIME SAVING: Ink will cover approximately 100 feet and quickly dries. Stamp works well on all regular paper, envelopes and package addresses. One swipe and the info is covered, no need to go for a shredder. 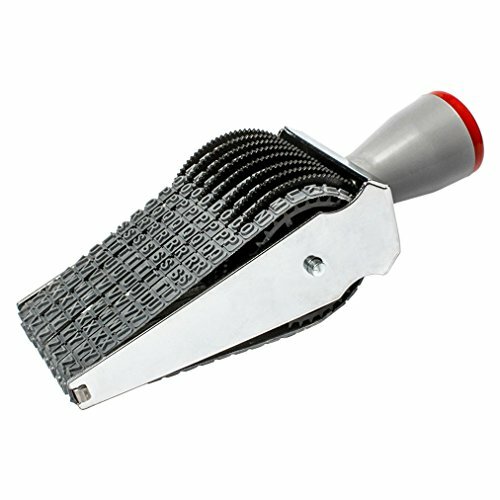 GREAT ALTERNATIVE AND GUARANTEE: Roller stamp eliminates the demand for noise and expensive shredder. 60 days money-back and 18 months worry-free guarantee. If you have any questions, please do feel free contact us. 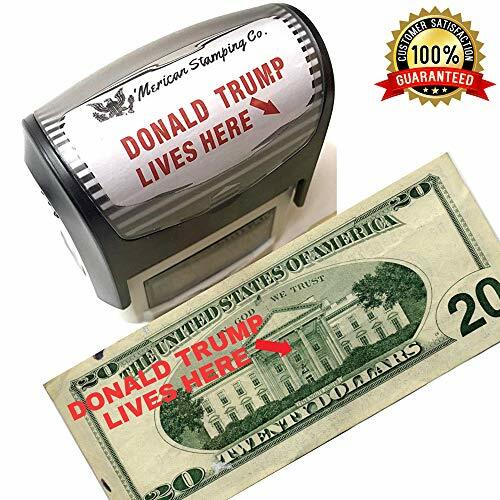 Make your mark with ease and speed with our Donald Trump Lives Here self-inking rubber stamps. They have a unique single-handed operation and stable design to evenly distribute pressure for a clean, clear impression. Brand: 'Merican Stamping Co. | Manufacturer: 'Merican Stamping Co. When the time comes to re-ink your roller it is simple to re-ink using these measured ink bottle. 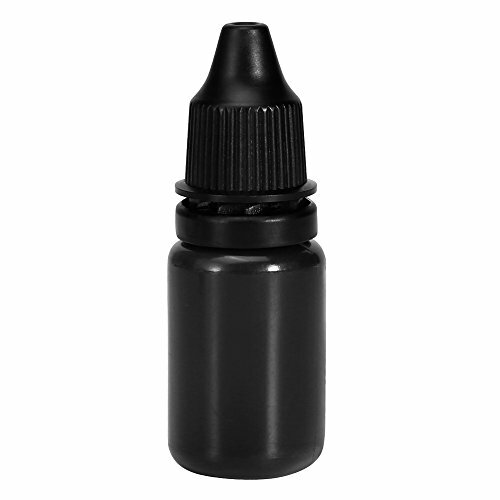 Each bottle contains 10ml of specially formulated oil-based ink. 2000PLUS Felt stamp pad reproduces images in detail. Pad offers longevity between re-inks and is ideal for office/corporate use. NLIMITED RE-INKING: Ink can be refilled in the security protection roller stamp side when ink runs out (Stamp Refill Ink), about 2 drops each time. EST TIME SAVING: Ink will cover approximately 100 feet and quickly dries. Stamp works well on all regular paper, envelopes and package addresses. One swipe and the info is covered, no need to go for a shredder. Stainless ink formula for minimal cleanup Sharp, crisp, high-contrast impressions Over 10,000 single impressions This revolutionary new concept from Sirchie for recording fingerprints features a specially designed microporous membrane that affords a much higher degree of detail in the fingerprint impression than conventional ink pads. The benefits to you and your students become obvious when using the Flawless system. The ink pad provides just the right amount of ink on its surface'not too much and not too little. Less pressure is needed when fingers are rolled across the pad's surface, so less distortion is transmitted to the resulting impressions. 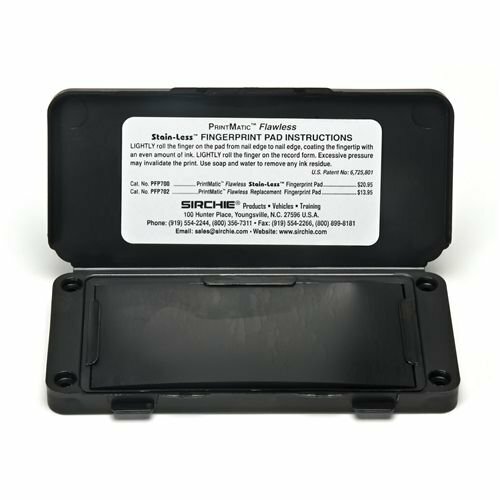 PRINTMATIC Flawless ink pads are supplied in a unique multi-mount, injection molded, copolymer polypropylene case, with a snap-lock lid to protect the ink surface from airborne contaminants. When properly stored, a single Flawless ink pad can provide over 10,000 single impressions. Size, 6-1/4 x 3-4/10"; weight, 3 oz. 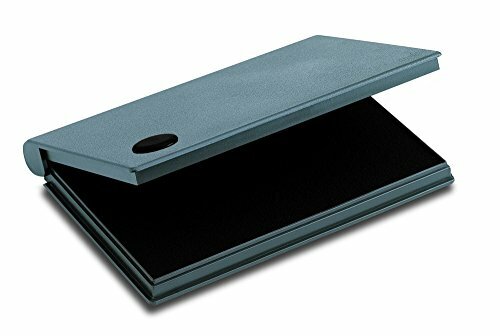 A Replacement Ink Pad (item #211931) is also available. This kit is really cool,best gifts for friends and also for yourself! You can stamp your Christmas cards , and it's romantic for Valentine's Day use for love letters! This elegant seal adds a touch of value and permanence to letters, envelopes, certificates and documents, a bit old fashioned but so charming and old-world. 4. After the wax is cool, take off the stamp. 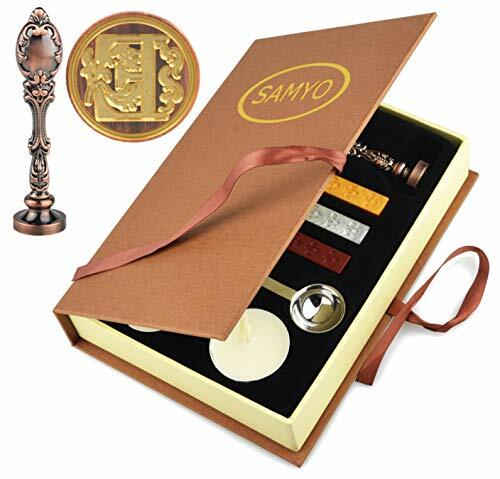 Golden hard-paper packaging design wax seal, makes it like a old mysterious book. Creative gifts for your friend and yourself or just for collection. Style: Vintage Hogwarts School Badge Wax Seal Stamp Sticks Melting Spoons Candles Set. Natural, non-toxic and non-polluting. No dripping, no smoking when burning. The Hand of the King serves as the head of the reigning king's Small Council and, in the king's absence, the Hand becomes his proxy. The individual charged with this powerful responsibility uses the Hand of the King's wax seal stamp to seal royally issued documents. 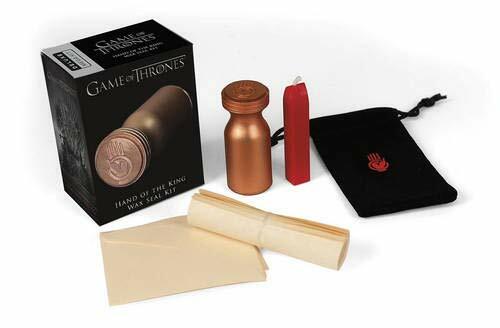 Game of Thrones: Hand of the King Wax Seal Kit includes a Hand of the King wax seal, wax stick, mini envelopes, and blank scrolls. 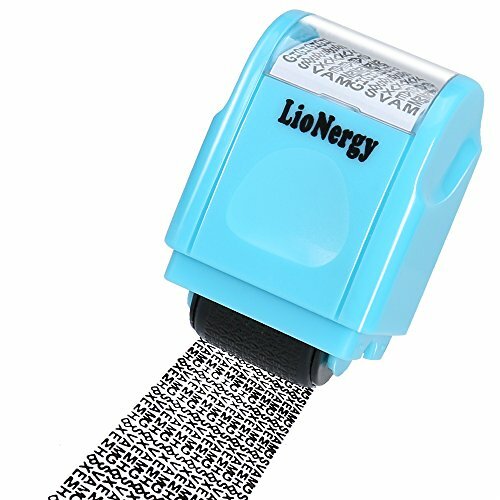 Amytalk 8 Digits Roller Stamp Personalized English Alphabet Number Symbol Rolling Wheel Stamp--Rotate back and forth to print,so interesting! 1.The sign include + - . / # * & $ etc, but sometimes by random delivery. 2.Please allow 1-3cm error due to manual measurement and make sure you do not mind before ordering. Turn around the plastic wheel,each belt includes different numbers,letters,punctuation,making it the perfect tool for adding titles or captions. You can make a blank. Arrange the alphabet by hand.Each belt including 10 numbers(0 to 9),26 letters(A to Z) and sign - . / # & $ * etc.8 belts in all. When stamping, do not press it too strongly;After the immersion, the font part won't expand but will imprint clear. If you practice it several times, You will be satisfied with this stamp.Create the perfect message with Amytalk versatile roller stamp now. Package includes: 1 x Rolling Stamp. 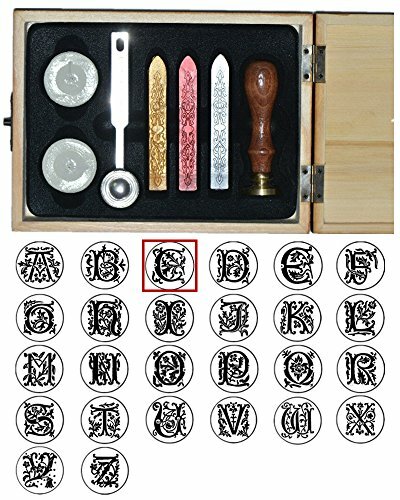 39 pc Steel Stamp Set, Letters A-Z, Numbers 0-9 and 2 symbols "." and "&". Steel hand stamps are hardened and tempered steel. Steel hand stamps easily stamp letters A-Z, numbers 0-9, and 2 symbols "." and "&",into wood, leather, plastics, sheet and softer metals, etc. Includes solid brass automatic center punch no hammer or tools required for a neat and clean punch. 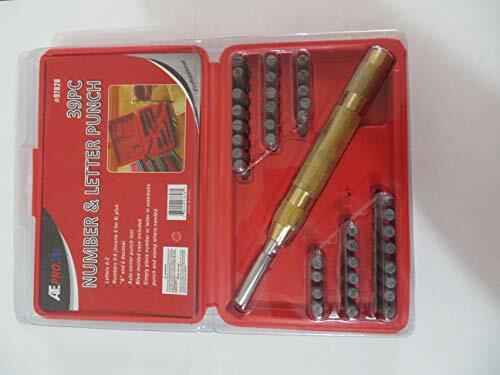 Also includes center punch to help center the letters and numbers. Brass punch has a very strong magnet to hold the punches in place before and during use. Come complete with plastic blow mold case for neat storage. Steel hand stamps easily stamp letters A-Z, numbers 0-9, and 2 symbols "." and "&". Stamps into wood, leather, plastics, sheet and softer metals, etc. 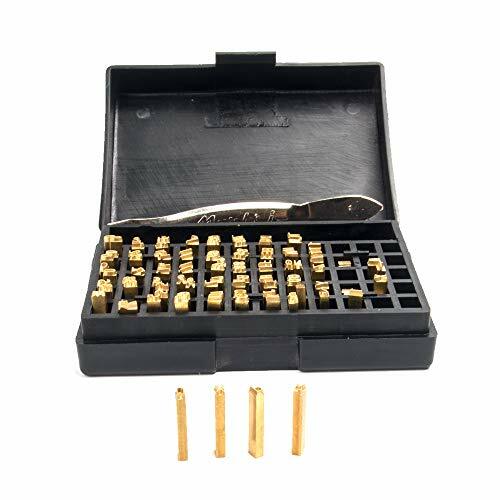 Includes solid brass automatic center punch no hammer or tools required for a neat and clean punch. Brass punch has a very strong magnet to hold the punches in place before and during use. 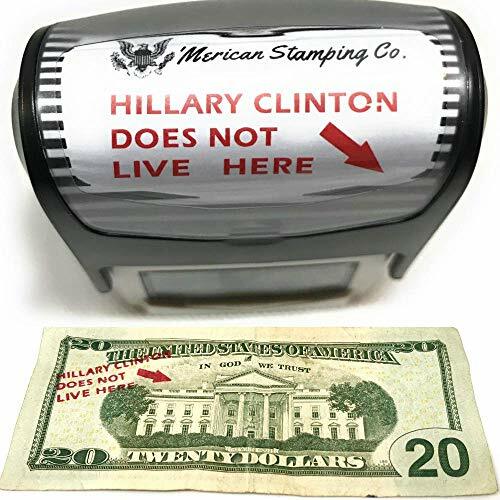 Make your mark with ease and speed with our Hillary Clinton Does Not Live Here self-inking rubber stamps. They have a unique single-handed operation and stable design to evenly distribute pressure for a clean, clear impression. 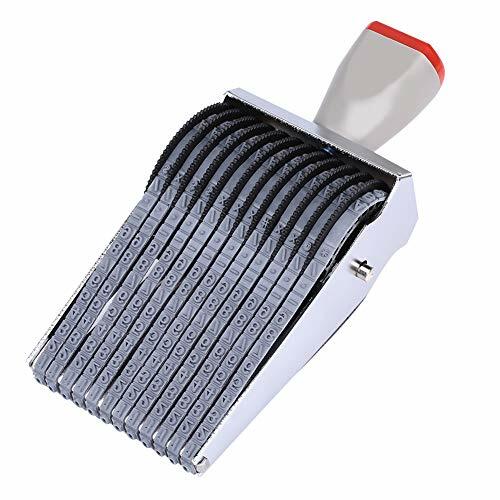 1) Suitable for the decoration of invitations, packages, envelopes, documents, scrapbooks, parcels, wine package, greeting cards, ,letters, glass, plastic, gifts wrapping, wood. 2) Protects your private information, show the givers' thoughtfulness and make your gifts, letter, cards or tags have decent and classic package. 3) You can stamp your Christmas cards , and it's romantic for Valentine's Day use for love letters! 4) This vintage Wedding seal stamp adds a touch of value and permanence to letters, envelopes, certificates and documents, a bit old fashioned but so charming and unique. We do our best to ensure maximum customer satisfaction by sourcing and delivering the best quality products. Our team are here to serve and aim at providing best service for you. If you have any question, please do not hesitate to contact us from email or Customer Questions & Answers. We will answer you in 24 hours. STAMP DESIGN: Wedding Wax Seal Stamp (Romantic pattern "Wedding" on the Copper head), it definitely add an element of distinction to your envelopes, cards or invitation. It is a perfect idea to wow your recipient! And will step up your letter etiquette and will make everything you do look significantly more professional. 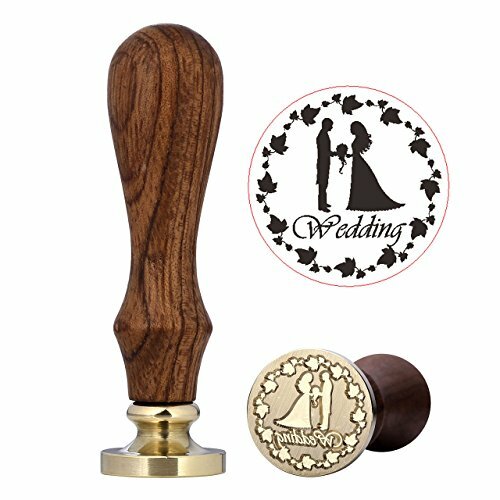 PREMIUM MATERIAL: Our Wedding Sealing Wax Stamp well crafted in Copper head and Rosewood Handle; Vintage, Retro & Classical, with intricate designs but leaves a clean beautiful & unique imprint. PERFECT SIZE: Seal Stamp Diameter: 0.98 (2.5 cm), Total Length: 3.54 (9.0 cm). Removable Stamp, Easy to Change and Install. WIDE USAGE: Our Seal Stamps can be applied on cards, letters, scrapbooking, glass, plastic, gifts wrapping, wood and more Ideal for embellishment and decorating of card, envelope, Wedding, birthday, anniversary invitations etc.. And it can avoid opening furtively for important documents and some private information. 4) This vintage With Love seal stamp adds a touch of value and permanence to letters, envelopes, certificates and documents, a bit old fashioned but so charming and unique. STAMP DESIGN: With Love Wax Seal Stamp (Romantic pattern "With Love" on the Copper head), it definitely add an element of distinction to your envelopes, cards or invitation. It is a perfect idea to wow your recipient! And will step up your letter etiquette and will make everything you do look significantly more professional. 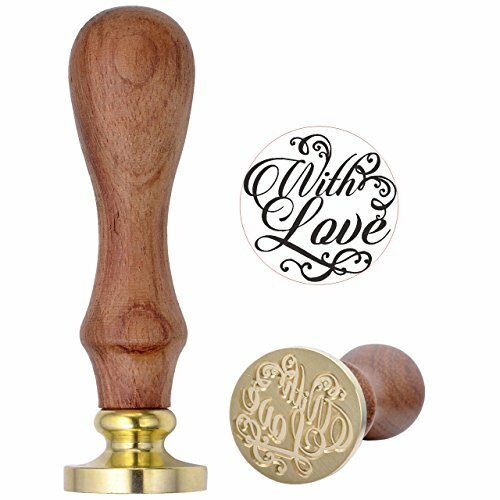 PREMIUM MATERIAL: Our With Love Sealing Wax Stamp well crafted in Copper head and Rosewood Handle; Vintage, Retro & Classical, with intricate designs but leaves a clean beautiful & unique imprint. These Alphabet and Figure Stamp Sets are very easy to use and arrange as they align themselves through an interlocking system. Made from durable plastic and rubber. 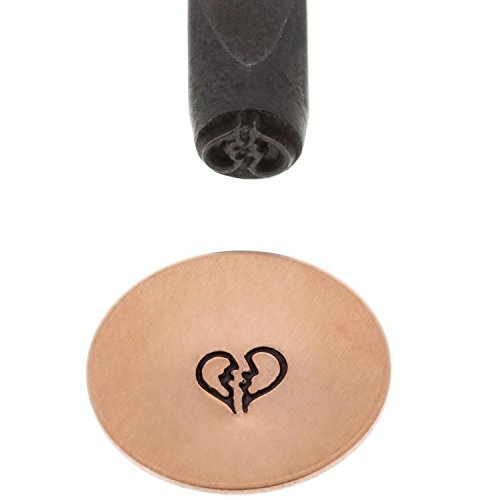 This decorative broken heart stamp is made of hardened steel for decorating all types of jewelry items. Designs like these can add value and interest to silver, brass and other metals. Their usage also gives an artistic effect and enables the designer to personalize each piece. Features a round shank and is 3-1/4" long. When used properly, this stamp will last for years. Made in USA. 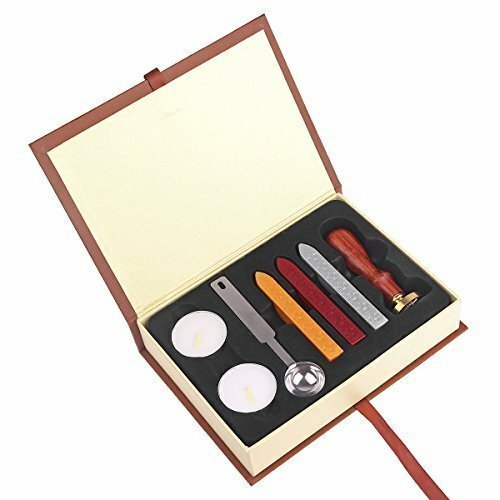 This kit is really cool,best gifts for friends and also for yourself! You can stamp your Christmas cards , and it's romantic for Valentine's Day use for love letters! This elegant seal adds a touch of value and permanence to letters, envelopes, certificates and documents, a bit old fashioned but so charming and old-world. Wood box. Creative gifts for your friend or just for collection. This Sealing Stamp is really cool,best gifts for friends and also for yourself! You can stamp your Christmas cards , and it's romantic for Valentine's Day use for love letters! This elegant seal adds a touch of value and permanence to letters, envelopes, certificates and documents, a bit old fashioned but so charming and old-world. Note: The item only comes with the Letter "E" (You can see it at the end of the Product Title), it does NOT include the whole alphabet. Antique Alphabet Initial Letter Design, Come with Initial Letter "E"
2000PLUS E-Message Dater features date plus four popular e-messages; Scanned,Completed,Entered,Emailed. 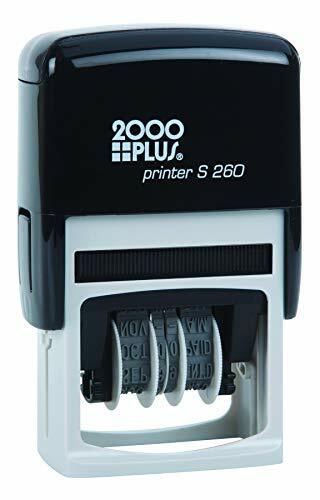 Self-inking stamp contains a replaceable pad and provides thousands of quality impressions. Turn around the plastic wheel, each belt includes different numbers, letters, punctuation, making it the perfect tool for adding titles or captions. You can make a blank. Arrange the alphabet by hand. Each belt including 10 numbers (0 to 9), 26 letters (A to Z) and sign - . / # $ etc.8 belts in all. When stamping, do not press it too strongly; After the immersion, the font part won't expand but will imprint clear. If you practice it several times, You will be satisfied with this stamp. Create the perfect message with Amytalk versatile roller stamp now. DPL Is Your Trust Brand Features: Made of high quality pure copper, suitable for most of the hot ribbon code printer. Specifiction: 2*4*15. Should Any Quality Problems, Please Contact us Directly. We Shall be Glad to Support you in Time within 24 Hours. Letters for Print Date Hot Ribbon Marking Machine DY-8 HP241 HP241B etc.